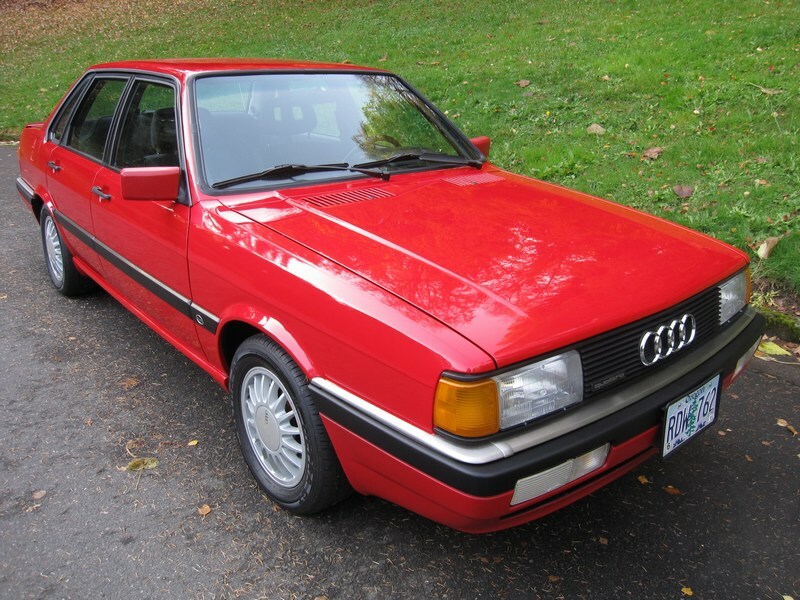 The 4000 Quattro came in two iterations: the original (1984) “slab-side” and the 1985 and later facelift version. I will admit that I have always been a fan of the earlier car partly due to the fact that it’s a little less common than the later car (although that’s really a moot point at this stage), and also because I thought Audi tried a little too hard to meld the decidedly squarer 4000 body with the contemporary 5000 which set new standards in aerodynamics and design. All that said, I like this car probably more due to its overall condition, but the red on black interior is a good combination on these cars, and if I’m being honest I do like the updated interior compared with the slab-side’s. While some would scowl at the thought, I would look into swapping the marginal US-spec headlights for the much better European units, which also look better in my humble opinion. I would also consider a set of vintage Ronals or even the lightweight Audi Fuchs alloys for a slightly more aggressive stance, but it would be critical to keep the clean originals, especially if you plan to keep the car in this condition for the long haul – which you should be. 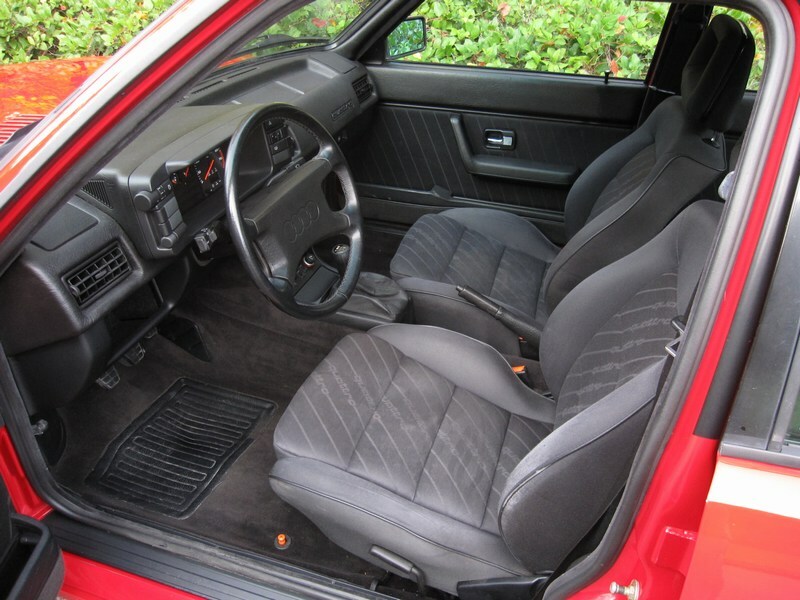 Not since these cars were new can I recall seeing one with an interior as clean as this. There seems to be a small amount of wear on the driver’s seat bolster, but nothing catastrophic. Even the switchgear looks like new, and I love the center console gauge panel with the LED bar gauges and the Quattro differential lock – very old school functional. The “quattro” embroidery on the seats is original to the car and pretty cool, as is the script on the back window embedded into the rear defroster system. 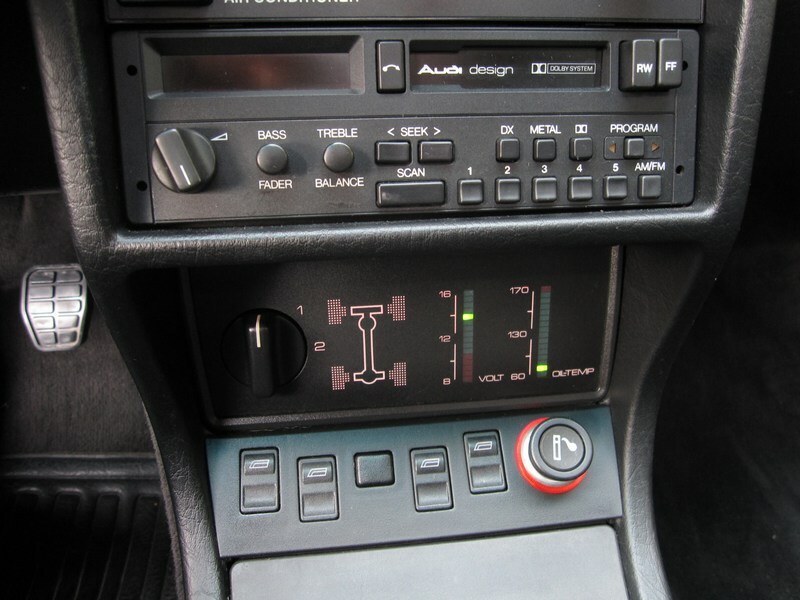 The fact that the car has never been smoked in is a huge plus to me on any car, and the OEM radio/cassette is pretty cool, but I would want to look into options to integrate newer technology while keeping the stock look. I have one of those cassette adaptors for my iPod in the Miata, and it’s about as good as you’d guess.. The 4000 Quattro has the same basic inline 5-cylinder motor as the far more exotic handbuilt Ur-Quattro, but lacking in the turbocharger. This car’s 2.2 liter motor is good for 118hp. 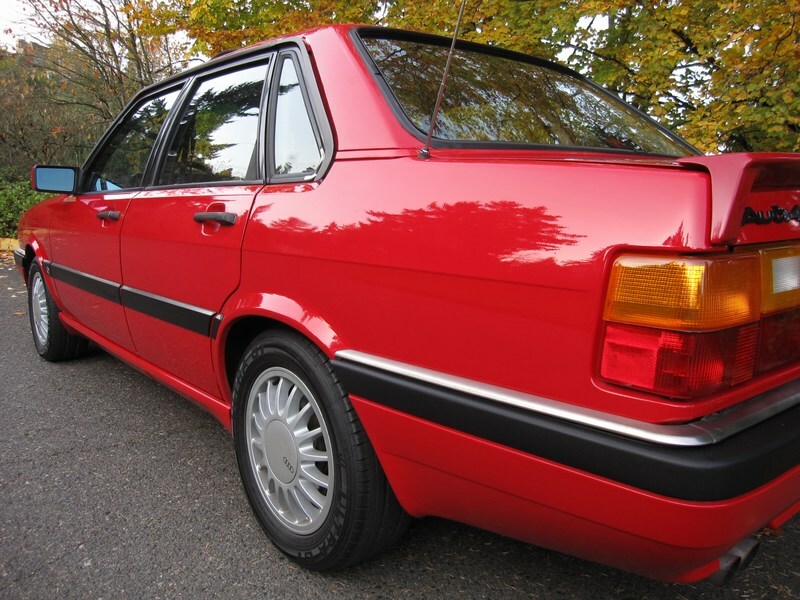 Many owners have upgraded to one of hte many Audi 5-cylinder turbo motors which fit just fine, including the 227hp motor from the 1991 Audi 200 Quattro, but this car is in such pristine original condition it would be a shame to do that at this stage, although it would look factory-original. 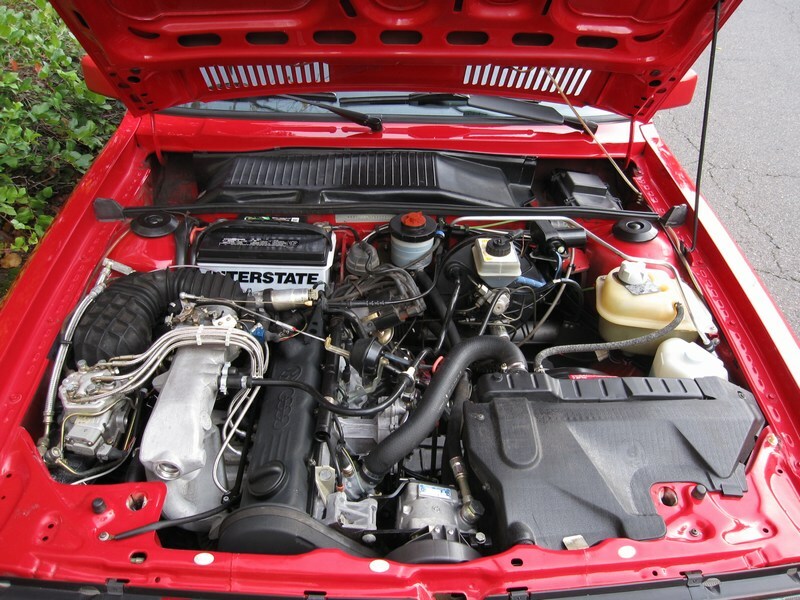 The seller reports that the car is in excellent mechanical condition but makes no mention of a timing belt replacement. Potential buyers should figure a TB and water pump into the ultimate cost of the car and have that work done as preventative maintenance. Otherwise, buy it, drive it hard, clean it up afterwards, and keep this rarity in its present condition as long as you possibly can! This entry was posted on Thursday, December 1st, 2011 at 9:49 AM	and tagged with 4000 Quattro, All-wheel Drive, Audi, Audi 5000, Coupe Quattro, German Cars, Rally Cars, Subaru and posted in The Kitchen Sink, Totally That Stupid. You can follow any responses to this entry through the RSS 2.0 feed. I’d your beautiful car still for sale?